When it comes to providing audio quality, technology has evolved leaps and bounds. These days, we can get excellent sound quality even in portable and wireless devices. One of the most widely used wireless devices are the wireless headphones. Wireless headphones are convenient and give us the freedom to move around while listening. In-ear headphones are ideal for people with active personalities. They fit snugly and comfortably allowing you to run/play/workout while listening to your favorite tracks. They usually come with a band that wraps around the back of the head to transmit music between each speaker. As the name suggests, these sit on the ear and usually have cushion, leatherette and foam pads for added comfort. 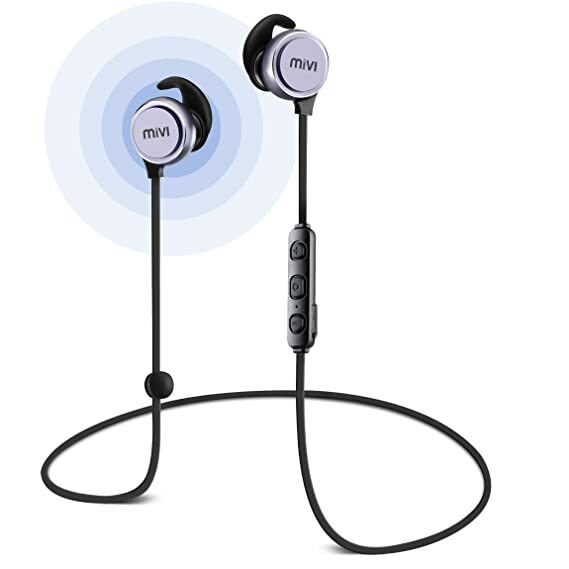 These are designed for prolonged usage and provide more comfort when compared to the in-ear headphones. Mivi Saxo Bluetooth on-ear headphones are not only light weight and portable but also provide high quality sound. They come with 17 hours battery life and comfortable padding for long listening sessions. Its built-in HD mic allows you to take calls and stay connected on-the-go. If you are looking for audiophile sound quality, these are for you. the comfortable padding allow them to be worn comfortably for long duration. The larger pads isolate the listener from surrounding noise. These are bulky when compared to other models and may occupy relatively more space. How to Identify a Apple certified iPhone cable?